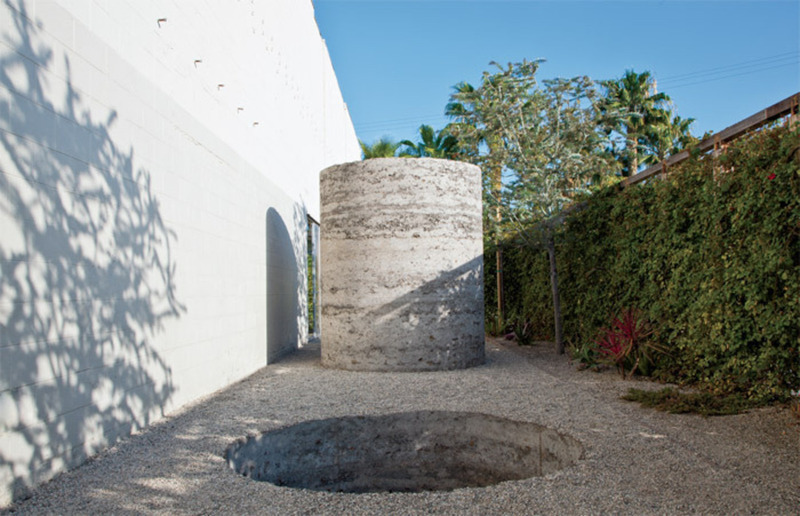 Nobuo Sekine, PhaseMother Earth, 1968/2012, earth, cement. Installation view, Blum & Poe, Los Angeles, 2012. From “Requiem for the Sun: The Art of Mono-ha.” Photo: Joshua White. 1 “Requiem for the Sun: the Art of Mono-ha” (Blum & Poe, Los Angeles; curated by Mika Yoshitake) This revelatory exhibition of work from 1968 to 1974 by artists associated with the Japanese movement Mono-ha (“School of Things”) offered up extraordinary pieces (many of them remade for the exhibition), including PhaseMother Earth, 1968/2012, Nobuo Sekine’s huge cement cylinder that sits next to an identically sized hole in the ground; Paper, 1969/2012, Susumu Koshimizu’s block of granite in a paper bag; and Cut-off, 1969/2007, Katsuro Yoshida’s cotton-stuffed steel pipe. Together with its catalogue, this show was a welcome reminder of how much is still left out of the standard art-historical narrative. MoMA’s “Tokyo 1955–1970: A New Avant-Garde” will no doubt continue the process of revision. Order the PRINT EDITION of the December 2012 issue for $17 or the ONLINE EDITION for $5.99.